Eodolgae Rock (also spelled as Oedolgae Rock) is known for having a sorrowful folk story and it was then on discussed on our way to the location. I am having a hard time during those days that for some reason, I felt depressed further with the story. Here’s a quick recap. The rock was formed due to the long waiting of ‘grandmother’ to ‘grandfather,’ who never came back. Jeju is known for three abundant things, women, rock and wind. Since it’s an island blessed with winds and in the old times, fishing is the main source of food and livelihood, there were instances that the fisherman no longer returns on the island and was no longer found anymore. The grandmother waited years for grandfather to return but he never did. There were times during the day that they hear sounds saying ‘Haerubang, Haerubang, Haerubang’ echoing that it got it’s name from the sound. It is also the same name they use for the statue that you can see all over Jeju Island. This is also the smallest island formed with volcanic rocks in Jeju. As you can see at the next photos, the rock even has plants on top of it. 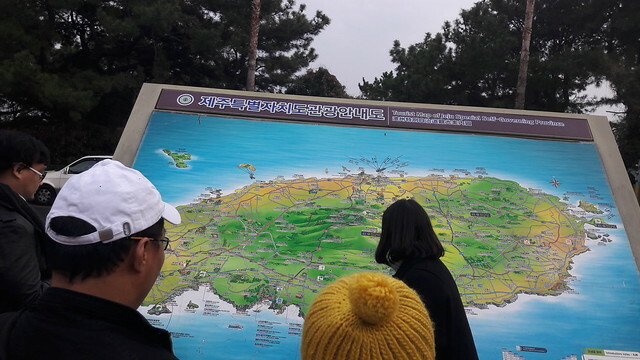 Arriving at the parking area of Eodolgae Rock, you will see a huge map of Jeju Island. Our tour guide decided to pinpoint our current location first before proceeding to the location itself. Of course, there were plenty of us so I didn’t bother to come close to them. 2. 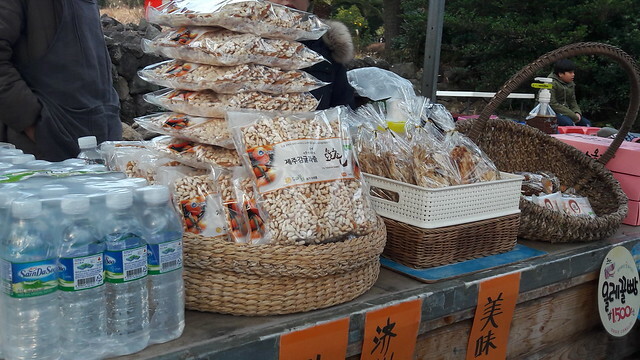 There are a few vendors selling locally produced snacks made of tangerine. For this location alone, I noticed the ‘Ppali ppali’ literally (faster!) type of character of Koreans. They were always in a hurry despite the calm vibe of the island. They just take an item, pays and apparently disappears in just a minute. 3. 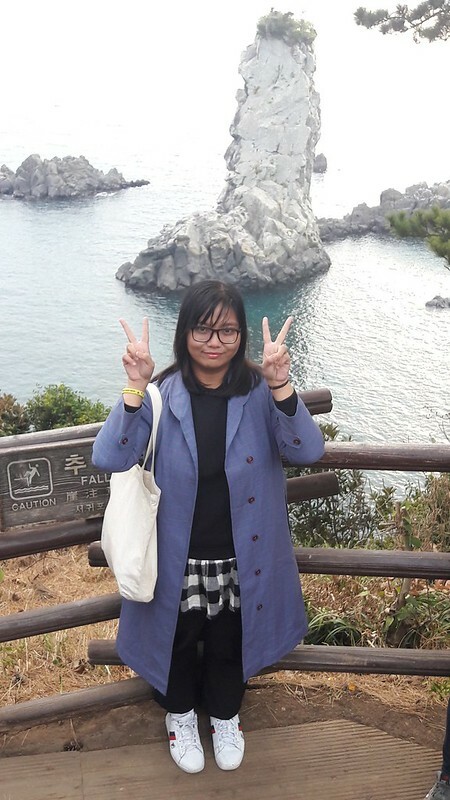 There are a few meters walk going to the Eodolgae Rock. Guess what? It’s also a location site for the epic drama Dae Jang Geum, popularly known in the Philippines as Jewel in the Palace. There’s a coffee shop near the place as well. This is the closest I could get to take a photo. For a while, I take a look at the area, roam around for a few minutes and it feels me quite a little sad as well. It was really calm indeed. 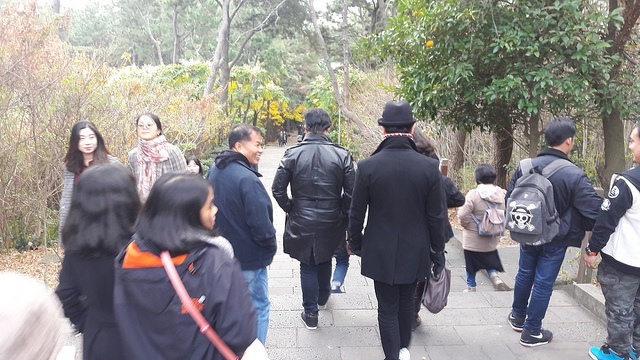 Adding the chilly feels that winter winds give, it’s one of the memorable places I’ve been to when I was in Jeju. We didn’t do anything there at all.